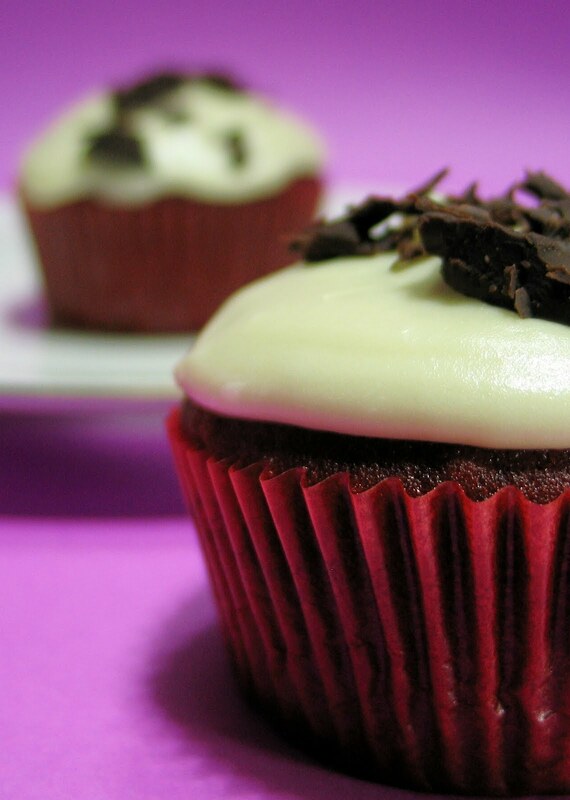 I used my favorite red velvet cupcake recipe for this one but I used three tablespoons of powdered cocoa instead of just two teaspoons, resulting in a richer deeper red colored cupcake. I frosted the cooled cupcakes with white chocolate cream cheese frosting and finished off with premium quality dark chocolate shavings. 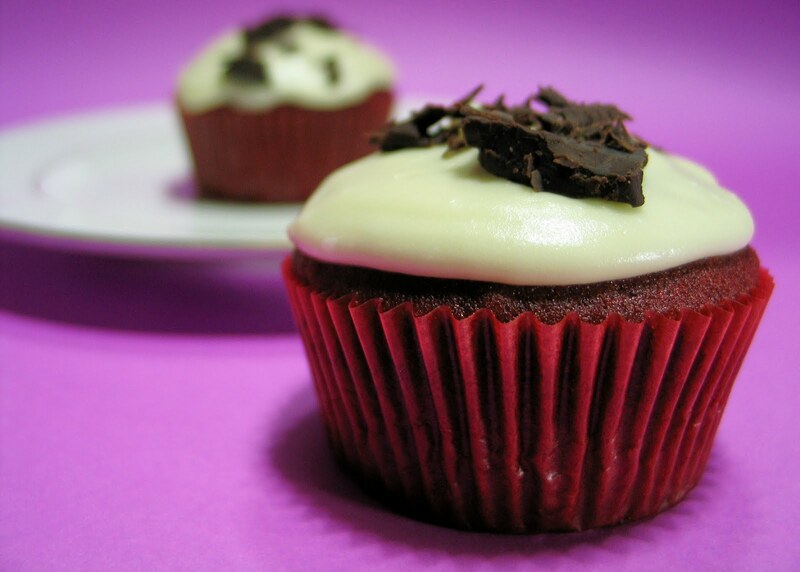 Love chocolates and red velvet cupcakes? Then this is a must-try cupcake project. 2. In a medium bowl, whisk together flour, cocoa powder and salt. Set aside. 3. In a large mixing bowl, beat butter on medium speed for 30 seconds. Add sugar and vanilla; beat until combined. One at a time, add eggs; beat on medium speed after each. Bet in food coloring on low. 1. In a large bowl, beat the butter and confectioners sugar at low speed until fluffy.